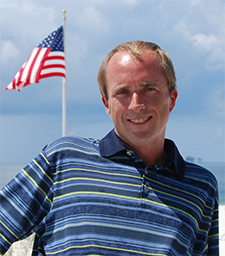 The biggest draw to the Gulf Shores area is the gorgeous, pristine, white sand beaches. However, there are times when you want to take a break from the beach and find a new place in the area to visit and spend the day. If you have a family, you may want to take them someplace new just for the experience. Gulf Shores features a wide variety of attractions so you can find whatever you’re looking for. 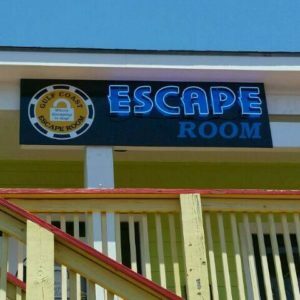 One of the fastest growing trends in vacation adventures, escape rooms have made their way to Gulf Shores. These adventures take you and your family and lock you up in a room, with each member depending on their puzzle-solving skills and a handful of clues to escape from the room within the hour. There are three locations in Gulf Shores and Orange Beach, each with different themed rooms such as storms and casinos. Do your kids love trampolines? Consider taking them to The Factory in Gulf Shores. This amazing attraction features over 12,000 square feet of trampolines, along with trampoline-based sports like basketball and dodgeball. You can also find batting cages with pitching machines, arcade games, foam pits, and an obstacle course. The Factory is an ideal place for a birthday party or a great way to spend a rainy day at the beach. If you want to try something a little different with your family, or have soccer fans in the group, check out the newest sport to hit the Gulf Coast in footgolf. This new sporting sensation resembles golf, except players must kick a soccer ball down a 21-inch hole using as few kicks as possible to get a higher score. Existing golf courses, such as Gulf Shores’ Craft Farms Golf Resort and Foley’s Greenlakes Golf Club, have recently added this new activity. Of course, you don’t always have to rely on new places or timely events to entertain your family. The Gulf Shores area also features plenty of timeless attractions that continue to be tourist favorites. For instance, if you have a military or history buff in the family, you can visit the USS Alabama Battleship Memorial Park in Mobile, which features military vehicles spanning eras from World War II to the Cold War. Do you want to help the local wildlife? The Share the Beach program allows tourists and residents to volunteer, protect sea turtle nests from common threats, and even sponsor a nest. You’ll never run out of things to do in Gulf Shores.